Athletes and coaches in most professional sports make use of high-tech equipment to analyze and, subsequently, improve the athlete's performance. High-speed video cameras are employed, for instance, to record the swing of a golf club or a tennis racket, the movement of the feet while running, and the body motion in apparatus gymnastics. High-tech and high-speed equipment, however, usually implies high-cost as well. In this paper, we present a passive optical approach to capture high-speed motion using multi-exposure images obtained with low-cost commodity still cameras and a stroboscope. 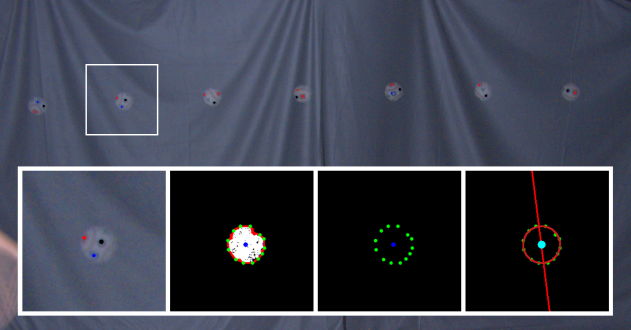 The recorded motion remains completely undisturbed by the motion capture process. 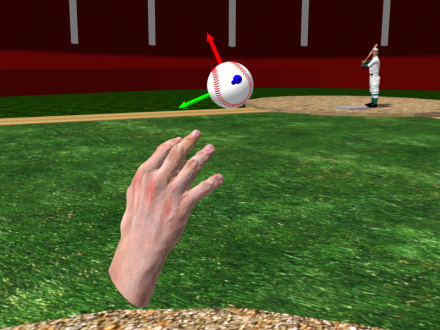 We apply our approach to capture the motion of hand and ball for a variety of baseball pitches and present algorithms to automatically track the position, velocity, rotation axis, and spin of the ball along its trajectory. To demonstrate the validity of our setup and algorithms, we analyze the consistency of our measurements with a physically based model that predicts the trajectory of a spinning baseball. We found our measurements to coincide with the predicted positions to within an average error of less than a quarter of the baseball's diameter over the entire flight path. Our approach can be applied to capture a wide variety of other high-speed objects and activities such as golfing, bowling, or tennis for visualization as well as analysis purposes.